All business schools strive to develop successful and competent managers who can occupy the topmost echelons of the corporate ladder but they often forget to inculcate a sense moral responsibility in their students towards their society and environment. 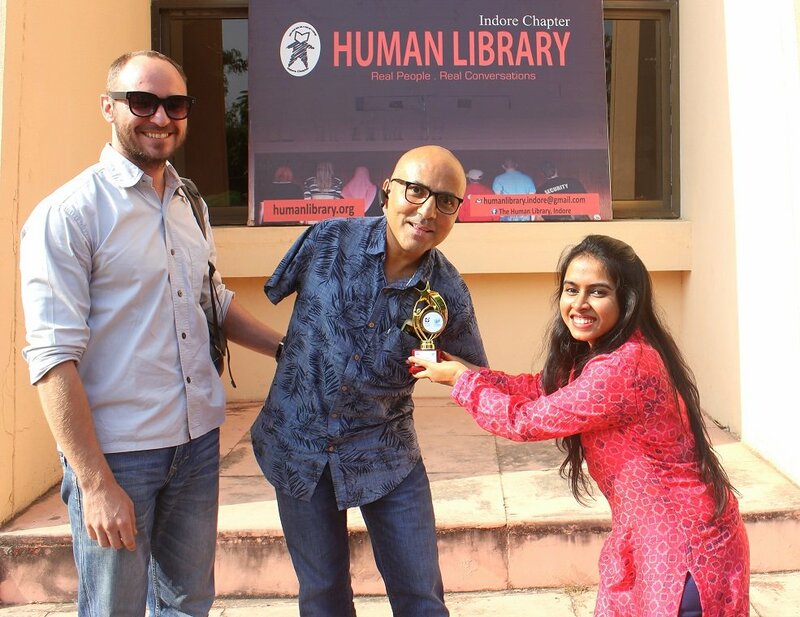 IIM Indore, however, has always been cognizant of an institute’s role in shaping the thought processes of its students and has, therefore, made social sensitivity a mainstay of its residential programmes. 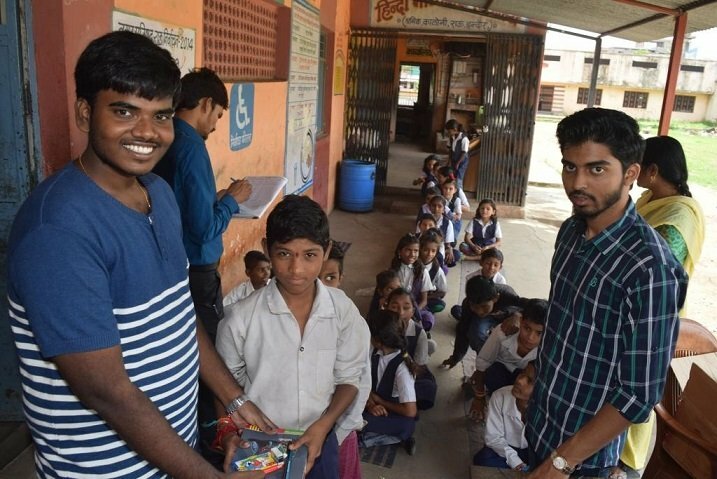 From the Rural Immersion Programme to the Indore Marathon, from school adoption to computer literacy programmes, the Institute has a lot to offer through its ambit of social sensitivity. The Marathon, held each year on the 2nd of October, is organized with the sole purpose of raising awareness about a poignant social issue. 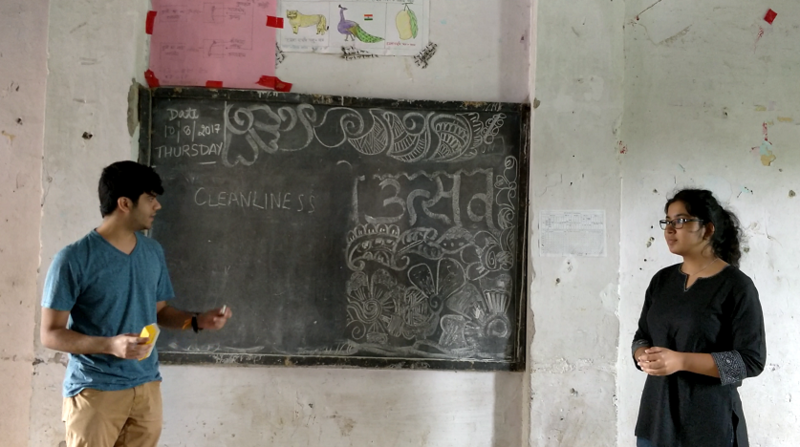 Similarly, the Rural Immersion Programme aims not only at exposing students to the rural population but also at apprising them about a society that exists beyond the familiar urban limits. The Institute’s creed is to not only focus on creating entrepreneurs but to also stress on the importance of developing social entrepreneurs. 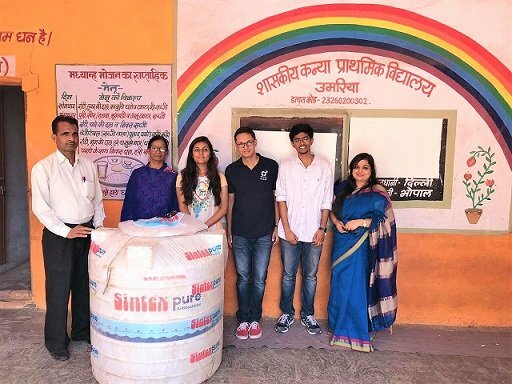 IIM Indore does not only educate its students about social responsibility but also believes in actively taking part in bringing about this change. 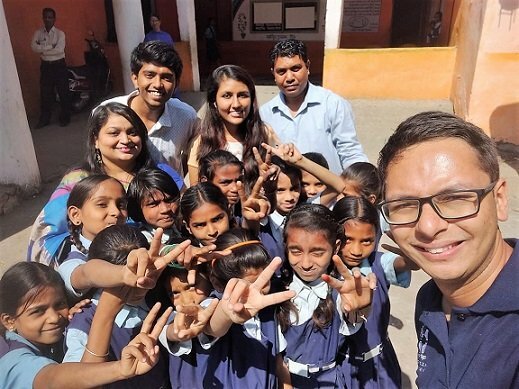 A team of volunteers, led by senior faculty members, visits these schools and identifies the common problems plaguing these institutions. 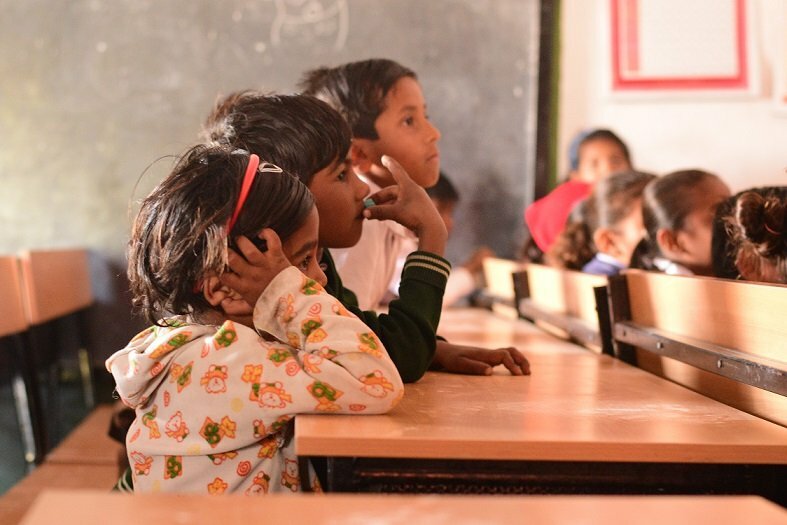 The adoption of these schools means analysing and solving all the issues whether they be related to classroom lighting or the lack of pure drinking water. 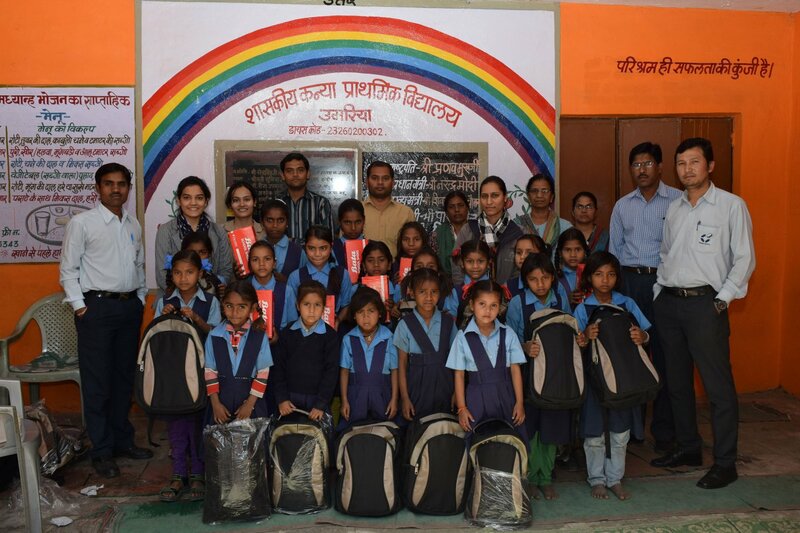 During the first phase of the programme, over 710 pupils were provided with stationery items to facilitate their learning. 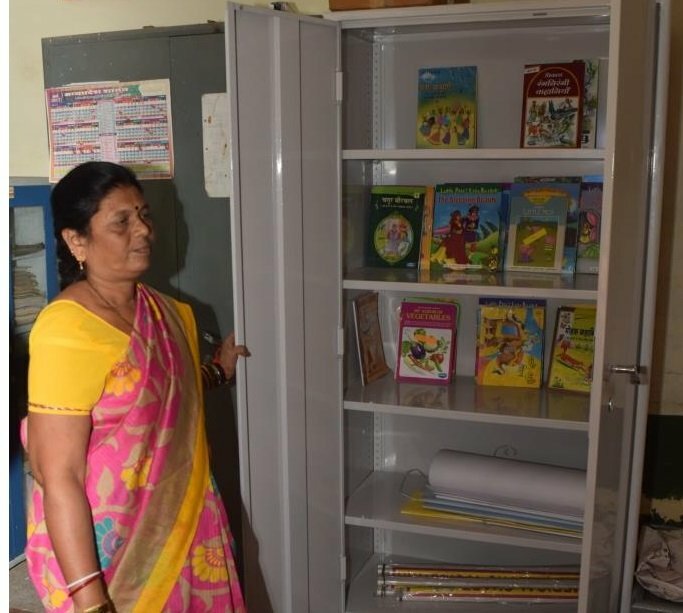 The second phase witnessed the installation of 21 glass panel black boards to these schools to further ensure an unbridled learning experience for these students. 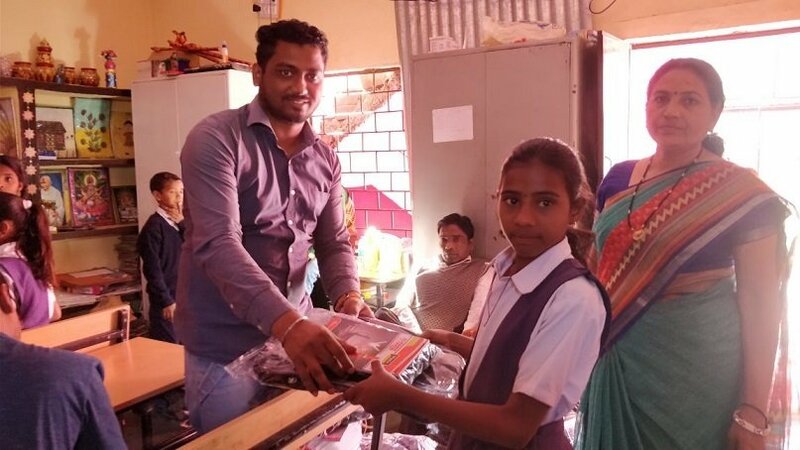 This initiative of continued learning was further pursued in the third phase which took place over the winter, wherein 394 students were provided with school bags, sweaters, shoes and socks to keep them warm and motivated. 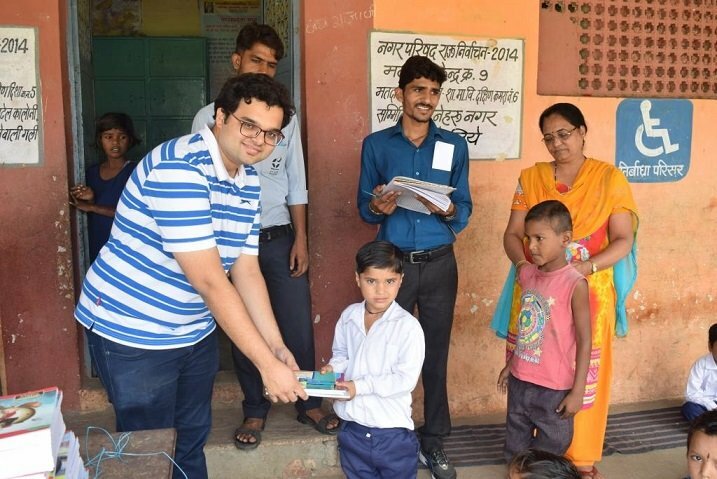 Continuing this on-going effort in the New Year, during February 2014, eight Tata Swach water purifiers were installed inside the school premises to address the absence of drinking water. 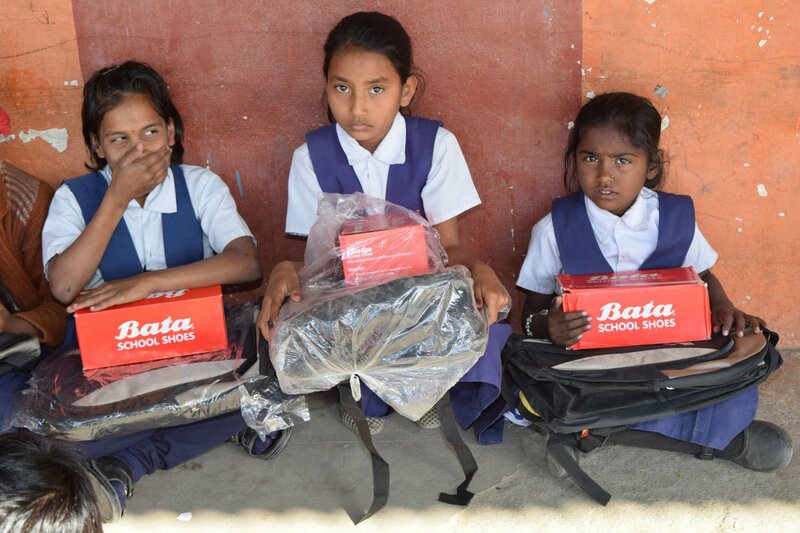 In the fifth phase of the programme, the Institute gifted 303 desks with benches to the adopted schools. 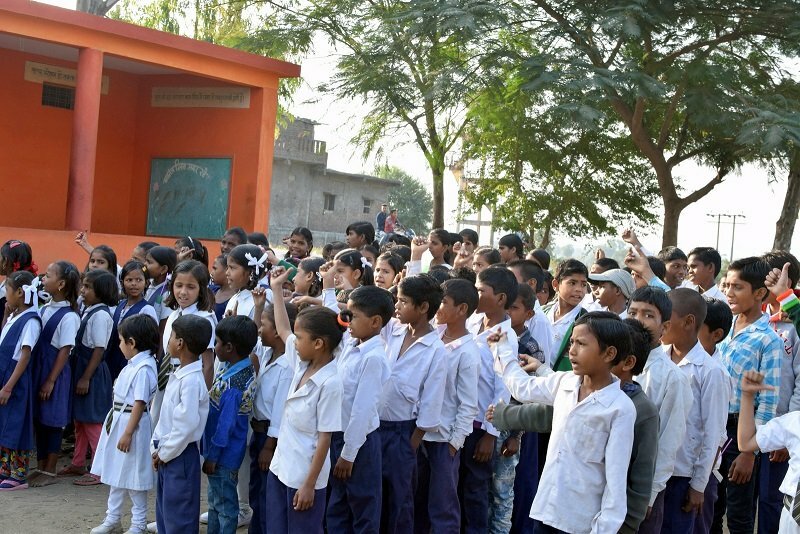 The primary intention of the same was to create an education friendly environment for the school students and motivate them to study rigorously. 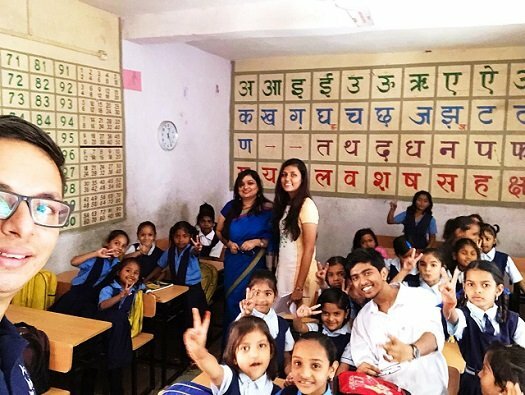 Once the next phase that deals with imparting training to the teaching staff of such schools is completed, IIM Indore’s purpose to make these institutions self-dependent and a source of good quality education would be met. With all the expenses borne by the Institute, our belief that education should trump any cost is brought to the fore through such initiatives. Jagriti, the social sensitivity wing of ‘Mridang’, IIM Indore’s cultural festival, fosters social change by nurturing talent and culture. It also kindles the spirit of enquiry in young minds through innovative activities and events organized by the students of IIM Indore. 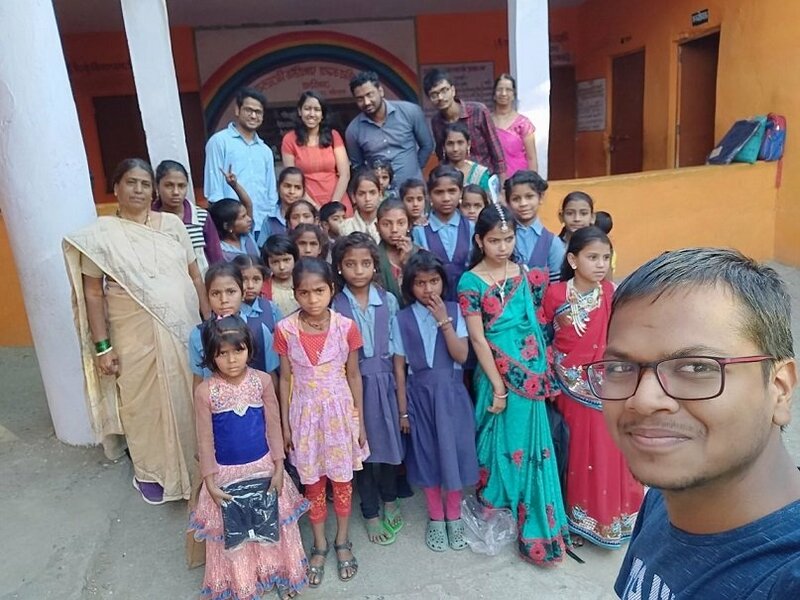 Founded on the ethos of late Sri Satya Sai Baba’s gospel ‘A fist full of Rice and Heart full of Love’, the event helps in sensitizing rural and urban school students, from government schools, about the importance of education and facilitates interaction between them. Held every year as a part of the sensitivity drive, the event is backed by the support of our title sponsor of the year. 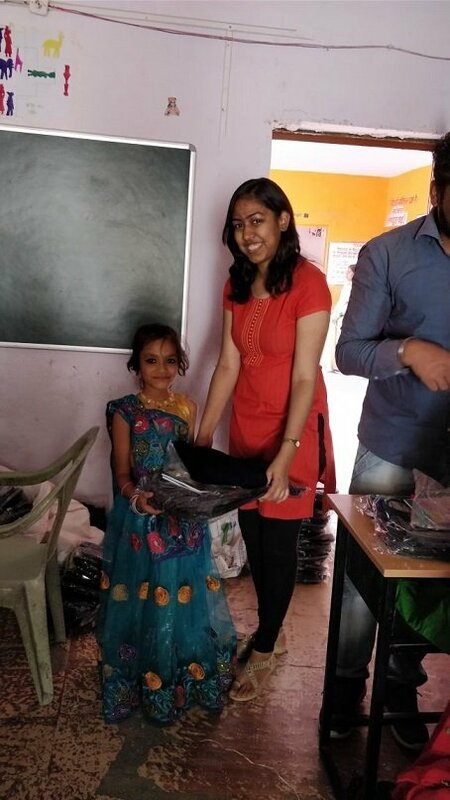 During the event, we distribute water filters, school bags, note books, stationery items, sports equipment including cricket bats, badminton racquets, carom board, football, among students from a number of schools. 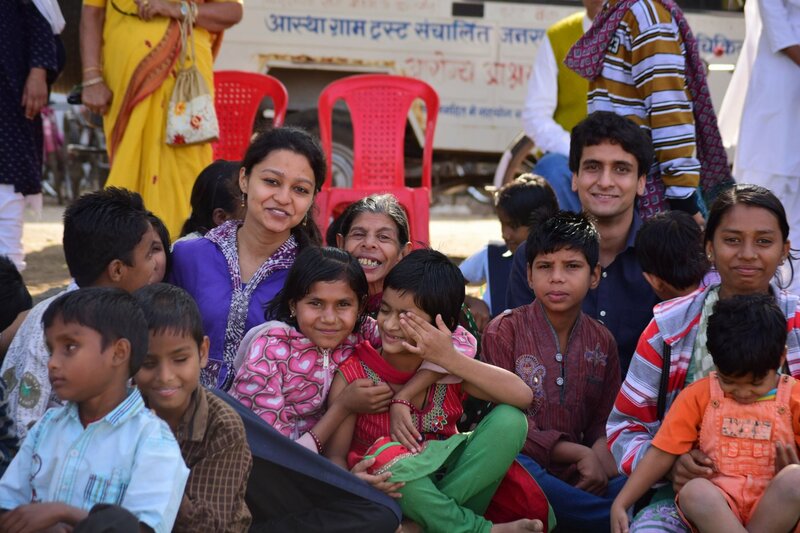 Year on year, Jagriti plans to expand its reach by visiting more rural schools in the villages in and around Indore. 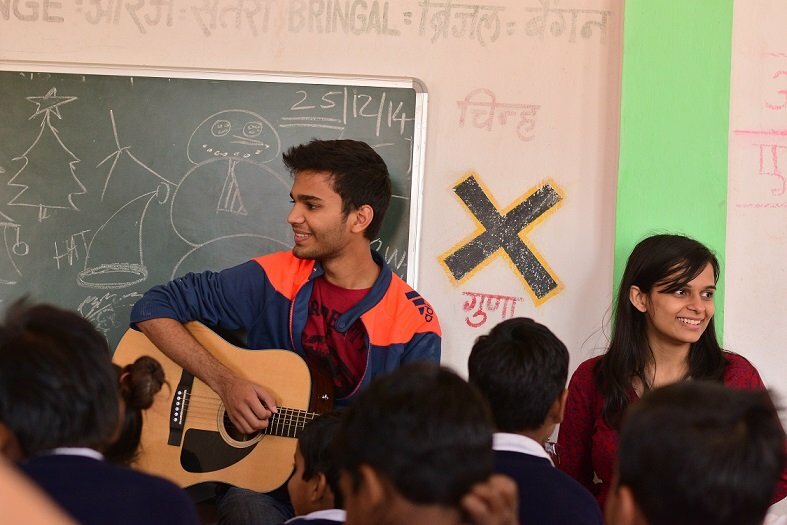 That apart, Jagriti will continue to support urban schools like L.G. Academy by launching the ‘Rice Distribution’ programme, which involves giving a ‘fist full of rice’ to the students. Going forward, these school children will also be offered free workshops on Personality Development and Career Development. 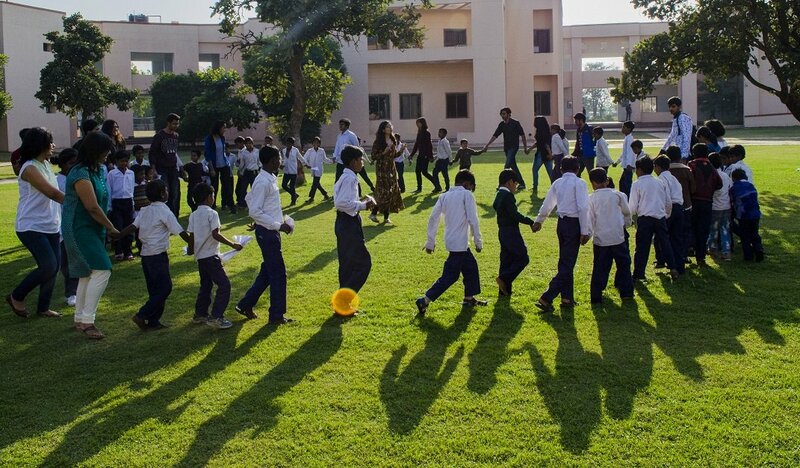 Not only that, the rural and urban children are brought to IIM Indore’s campus for a tour, giving them an opportunity to interact with each other and become cognizant of each other’s perspectives. 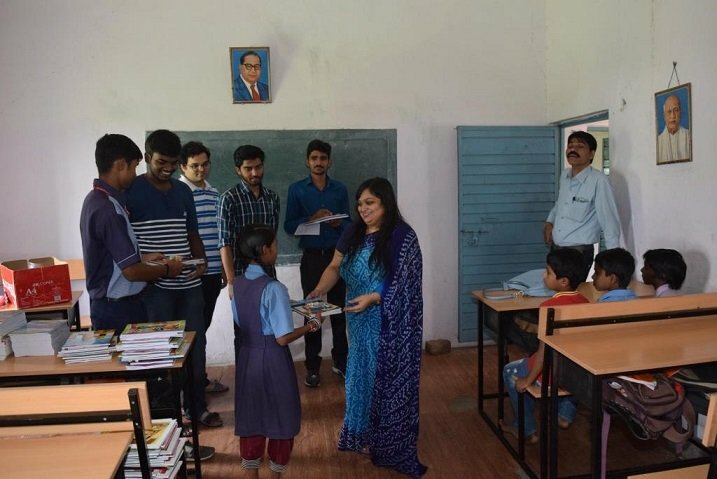 IIM Indore’s and Jagriti’s reach and impact is most aptly resonated through the words ofthe Principal of a primary government school – “We would like to appreciate the efforts made by Jagriti in academically enabling students from Class 1 to Class 5 through a provisioning of bags, books, stationery etc. 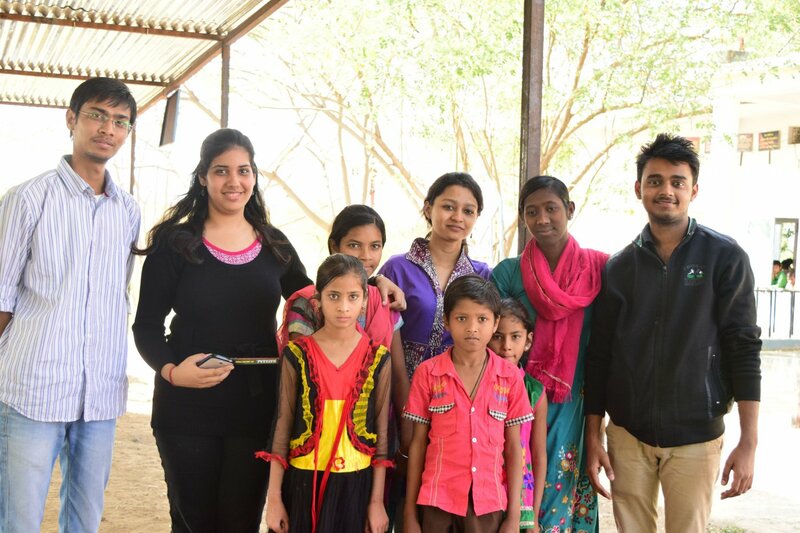 We hope they would continue providing their support to financially underprivileged students”. 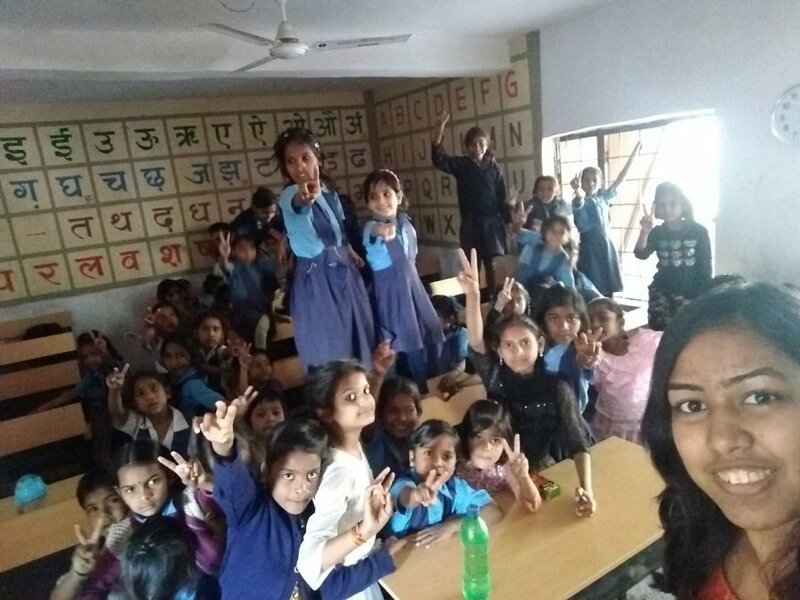 Pragati, as the name suggests, is the IIM Indore’s student-run social sensitivity cell which stands for ‘progress’ and this idea forms the very essence of the club. 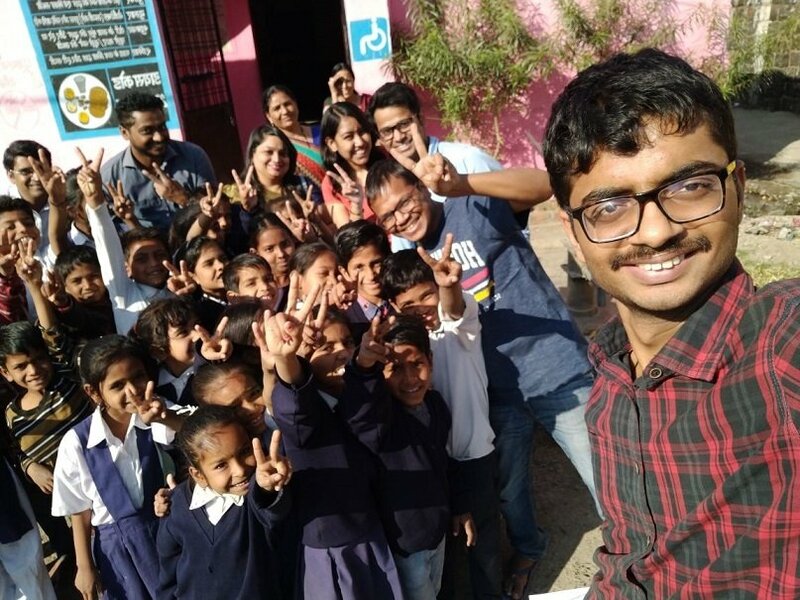 With the aim of serving the under-served, Pragati’s core team, along with a multitude of volunteers, organises a number of events throughout the year. These events provide a platform to the participants where they can use their ideas for the benefit of the society. 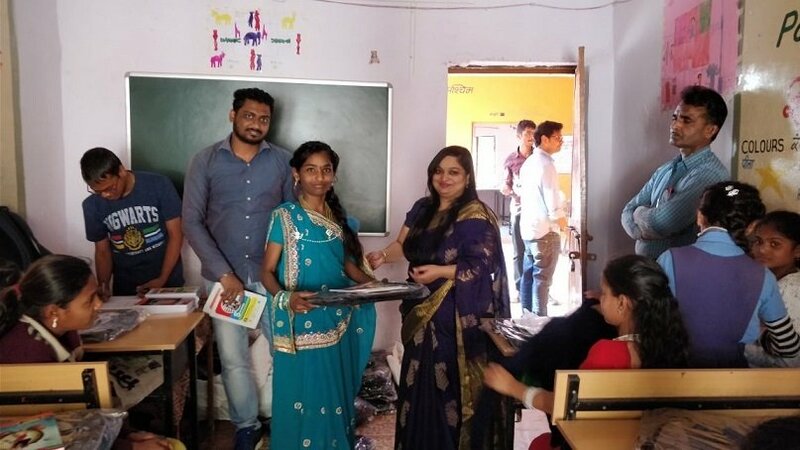 Every year, Pragati takes the onus of educating students from a nearby government school about computers as well as on how to use it. 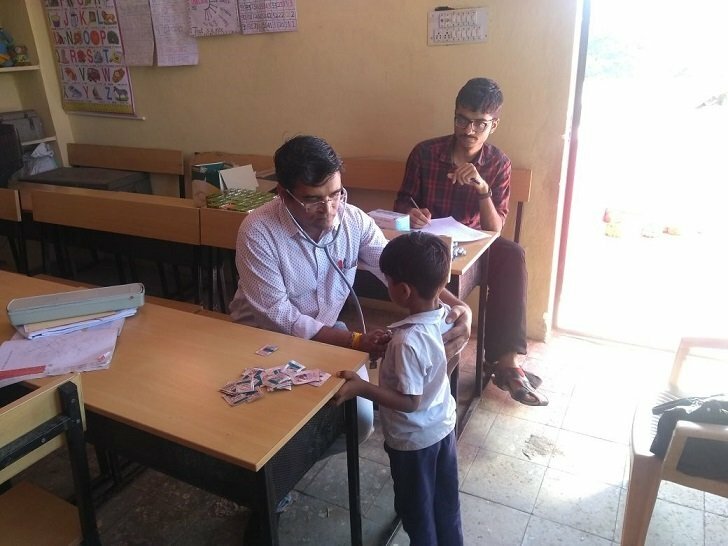 Later in the year, Pragati conducts a 2-month long Adult Literacy Programme that focuses on imparting class 10 level education to the worker staff of our Institute. This creates the opportunity for them to acquire new skills and move higher up, vying for more intellectual posts. 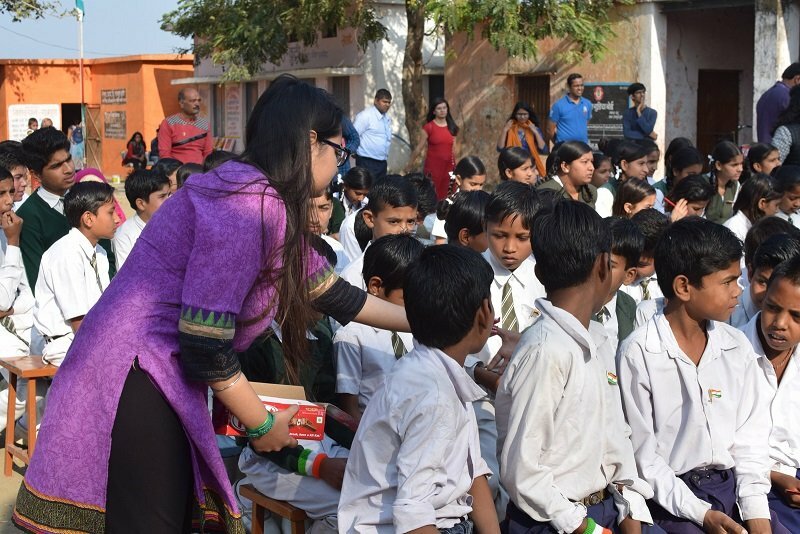 In between these two programmes, the members engage in other activities including a Tree Plantation Drive, Career Counselling for school students, a Blood Donation camp and a Book Donation Drive. The team organises a book donation drive for MBA students of other local colleges. The event witnesses a huge turnout with nearly 800 students turning up every year, to collect the books. 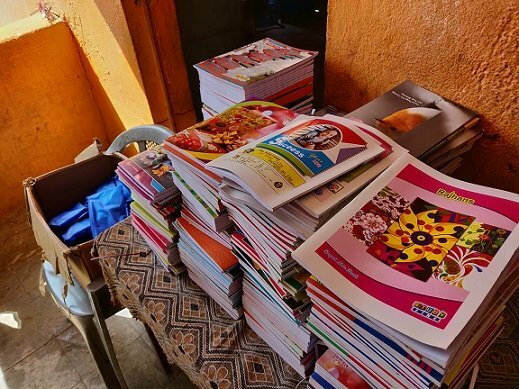 Overall, nearly 1000 books worth approximately Rs. 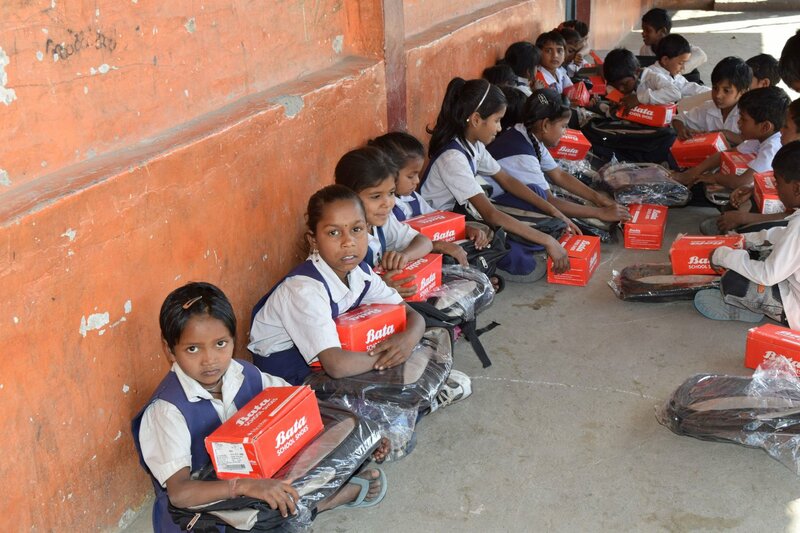 4 lakhs are distributed to students each year. 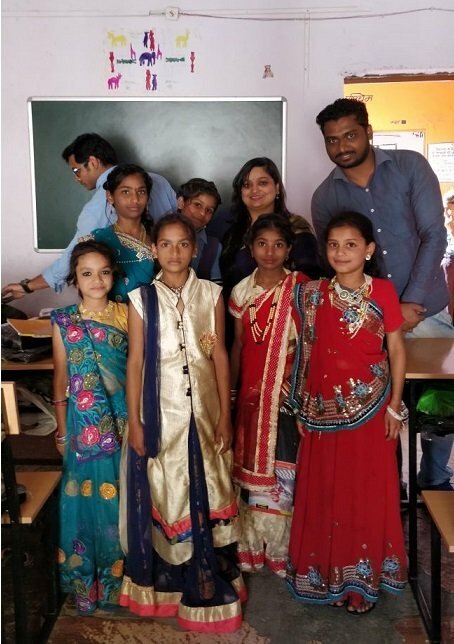 iHelp, is a social sensitivity initiative by IPM Participants, which aims at fostering social change by nurturing talent of underprivileged children. 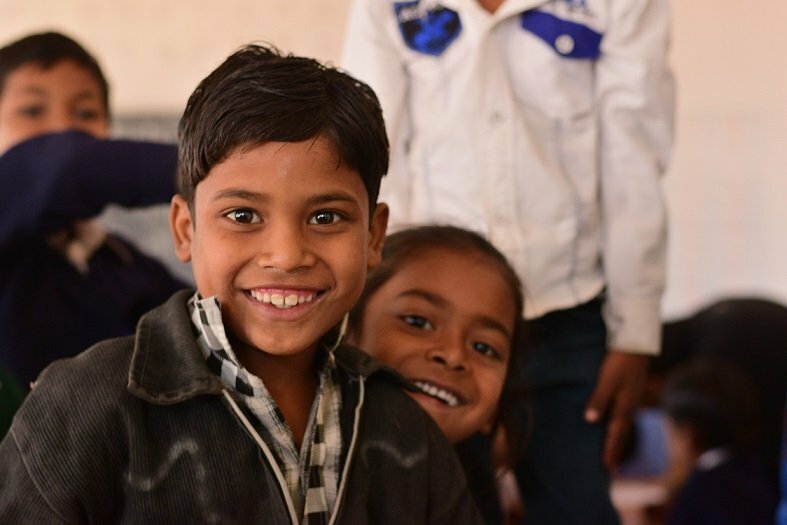 It is a community which wishes to educate, encourage, motivate, inspire and lead the underprivileged children of Madhya Pradesh to pursue higher education which will stabilise their economic well-being to a large extent. Among all the duties of a good student, we are here to be a good citizen. To become a teacher and friend to those who need guidance to come out of the dark windows, to show them the light and give them opportunity to fly. 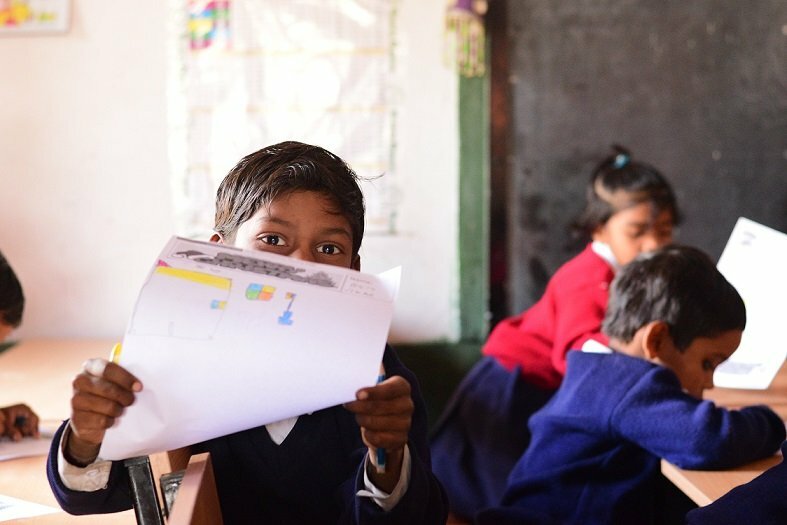 We do this by visiting schools every Thursday, with new activities and study modules for the students to encourage them learn. 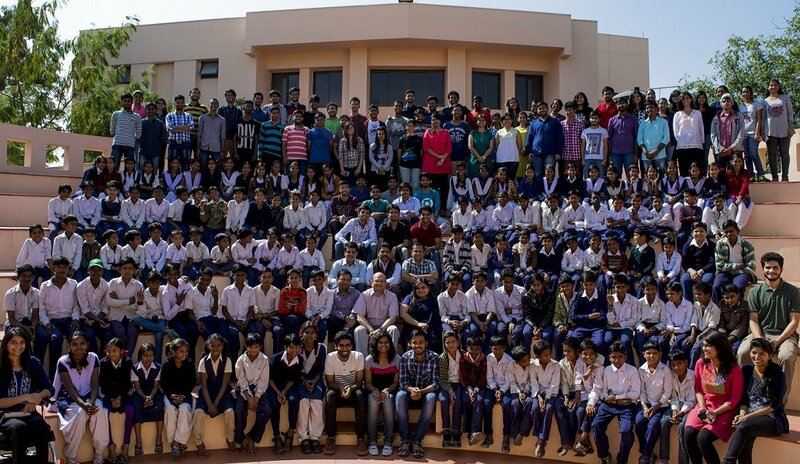 Every year we organize Annual Visit on Children’s Day and students are brought to campus for a tour and games.